I was running a rather large print, and durring the night it ran out of filliment. Is there anyway to recover, or am I just out all the filliment that was already used? I was thinking maybe there was some way I could figure out what layer it ran out on, and edit the print to start at that point or something. Not sure, need help. Really dont want to just have to throw away what was finished as it was about 3/4 of a 21 hour job. A few Question about prints from a first timer. So I just got a Pulse in yesterday. It printed the cube fine. So I set up a long print for a terrain piece for DnD to print overnight. 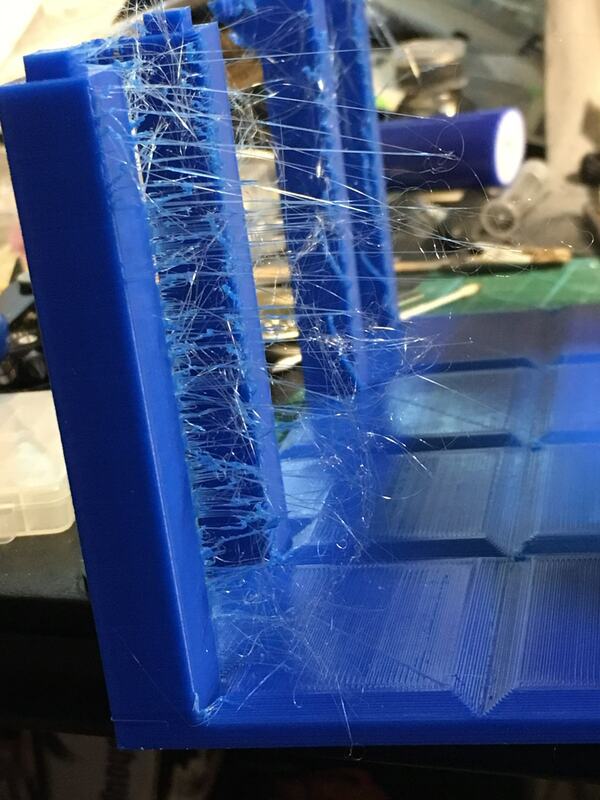 The questions I have are How do I get a large flat print off the bed without causing damage to the bed/buildtak, and Is it normal for a PLA printer to leave threads when moving from one protruding point to another. I am running all default settings.